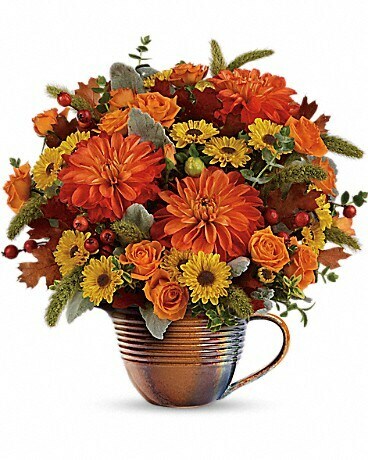 Teleflora's Autumn Sunrise Bouquet in West Seneca NY - William's Florist & Gift House, Inc. 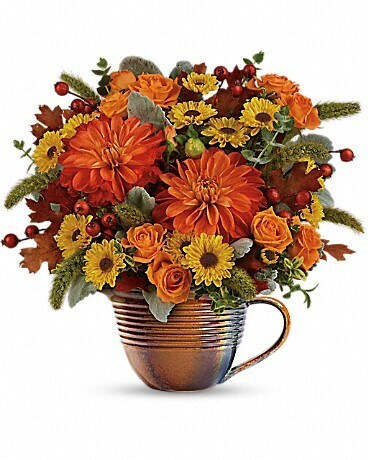 This breathtaking fall gift really measures up! 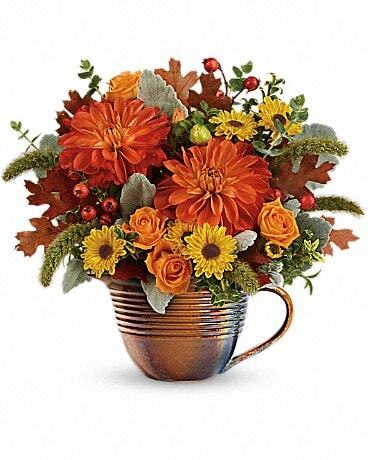 Presented in a hand-glazed, food-safe stoneware measuring cup that's perfect for displaying fresh flowers, baking pumpkin pie, or pouring gravy, this magnificent mix of roses, dahlias, and mums brightens any fall table. 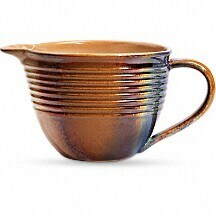 This multi-glazed stoneware measuring cup in organic shades of a fall sunrise is both beautiful and useful - guaranteed to be treasured for years to come. Available exclusively from Teleflora.